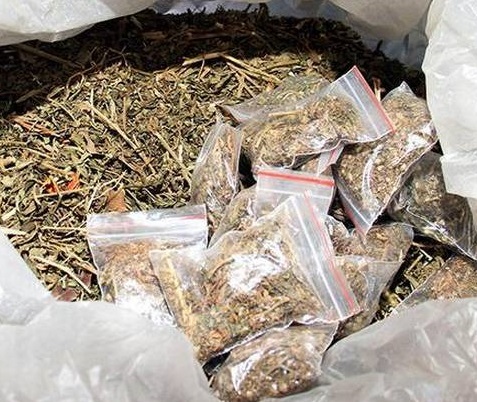 The Udalguri Police acting on a tip off, on Thursday apprehended two youths from Khowrang area near Sonaigaon under Udalguri police station in Udalguri district of Assam on charges of smuggling cannabis. Reportedly, police intercepted a Santro car bearing registration number AS-15E 5472 and seized a consignment of suspected cannabis (ganja). According to police sources, after getting an input over the movement of the supplier, police intercepted the vehicle and recovered around 60 Kg of suspected cannabis. Meanwhile, two drug peddlers have been apprehended in this connection. They have been identified as one Somkhar Mushahari (30), a resident of Bandarguri village and Munna Mushahari (24), a resident of Aangrajuli village under Udalguri police station. Reportedly, the youth Munna Mushahari has claimed to be a member of pro-talk section of NDFB and has confessed of being acting as drug peddler for money. Police informed that the consignment was en-route from Bhutan. The organized cultivation and harvesting of ganja in Arunachal Pradesh and Bhutan for commercial purpose has been an emerging trend. The Udalguri district in Assam is being used as a transit-point by the network of organized drug peddlers.